Does Your Favorite Football Team Have A Matching Vehicle? Does Your Favorite Football Team Have A Matching Vehicle? Does Your Favorite Football Team Have A Matching Vehicle? Mercedes-Benz Stadium in Atlanta hosted Super Bowl LIII, a low-scoring contest that netted the New England Patriots their 6th Super Bowl title. Prior to the big game, the staff at All-Fit Automotive sought to find matching vehicles for each NFL team. Some were rather easy, like the Denver Broncos and Jacksonville Jaguars, but others required a little more digging. “Some of the cars I’d never heard of before,” admits A.J. Dudon, CEO of All-Fit Automotive. Here is a look at what All-Fit Automotive found. 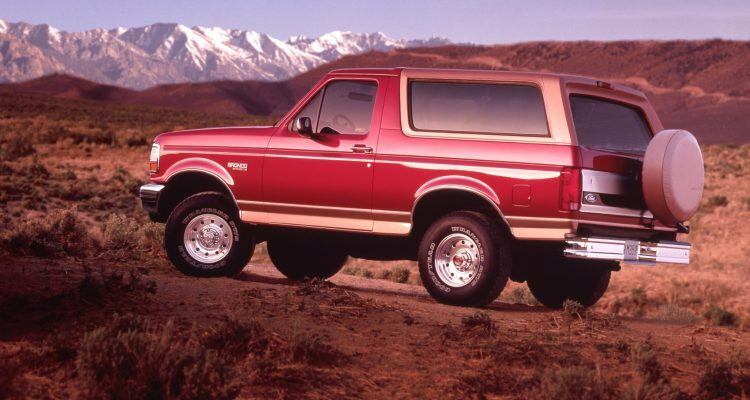 The Ford Bronco immediately springs to mind here. Although they took a pounding at the hands of Joe Montana and the 49ers in Super Bowl XXIV, John Elway and his troops would emerge for back-to-back championships in 1997 and 1998. The Denver Broncos returned to the Super Bowl more recently with Peyton Manning. Elsewhere in the AFC West, the Dodge Charger and the San Diego . . . er . . . Los Angeles Chargers share a common history. The Dodge Charger actually made its debut in Southern California, being introduced at the 1966 Rose Bowl. 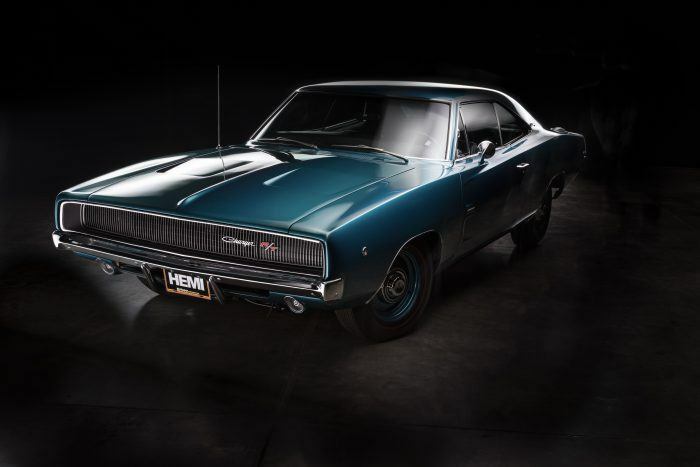 1968 Dodge Charger 426 Hemi. Photo: From The Art of Mopar by Tom Glatch, published by Motorbooks. Remember the Titans! But never forget the Oilers! The Tennessee Titans, who share their name with Nissan’s flagship truck, battled the St. Louis Rams during Super Bowl XXXIV in January of 2000. It remains the Titans only Super Bowl appearance but marked the first championship for a Rams team lead by quarterback Kurt Warner. Despite the Rams having “The Greatest Show On Turf” with regard to their offense, Super Bowl XXXIV was largely a defensive affair. The AFC South also houses the Jacksonville Jaguars, who appeared in 1995 as one of two expansion teams that year. The connection here is easy – Jaguars football, Jaguar automobiles – but it goes beyond the obvious. Jaguars owner Shahid Khan has long-standing roots in the automotive business. The now billionaire put himself through school at the University of Illinois while working at Flex-N-Gate. Today, Khan owns the automotive manufacturing company he worked at in college. Nissan Titan with a factory lift kit. Photo: Nissan North America. Holding down the AFC East is the Muntz Jet, a sleek and sporty offering for its day. Hagerty details the story of one Frank Kurtis, an IndyCar builder who later sold his auto company to Earl William “Madman” Muntz. The pitchman’s vision for the car differed greatly from that of Kurtis who wanted the vehicles to become the American equivalent of Jaguar. Under Muntz, the Jet came with a host of interior arrangements that included alligator, emu, leopard, or snake skin, and even a cocktail bar. 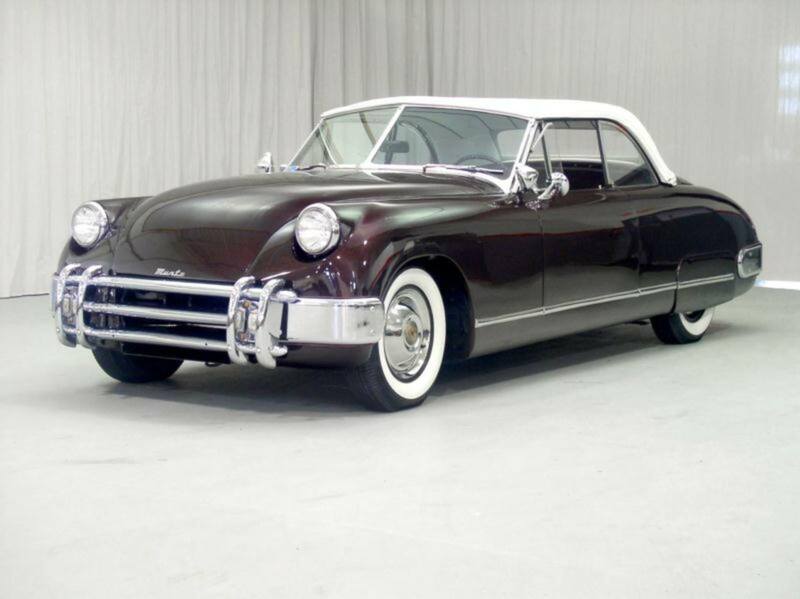 Although a money loser, Muntz claimed the company built nearly 400 Jets, although that number is disputed by historians. Regardless, there are even less Joe Namaths. That is to say there is only one. Imagine Broadway Joe rolling through New York City in one of these collectibles? “Once we found a vehicle, we tried to place a star quarterback or popular coach behind the wheel,” Dudon said. 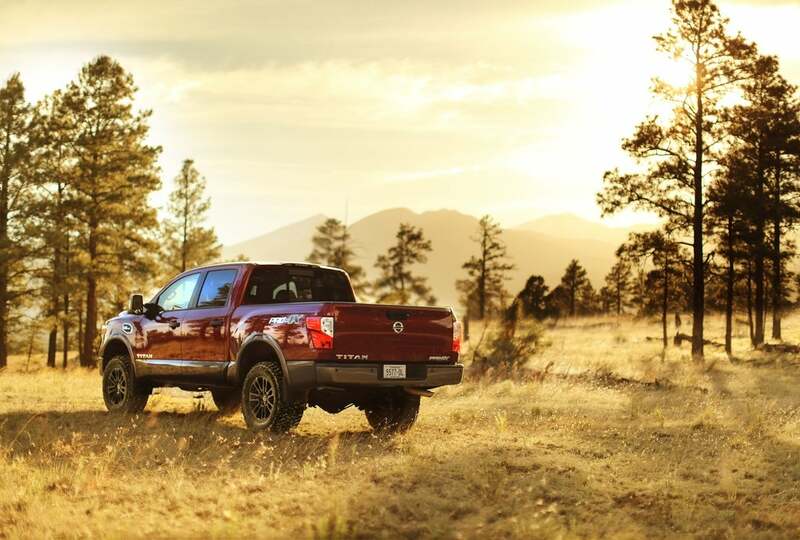 Ram Trucks and the Los Angeles Rams naturally, both of which have done their fair share of moving and shaking. The NFL team started as the Cleveland Rams in 1936, then moved to Los Angeles in 1946; St. Louis in 1995, then back to L.A. in 2016. As for Ram Trucks, they were originally just Dodge trucks with a Ram hood ornament as far back as the 1930s. By the 1980s, they evolved into Dodge Ram trucks, finally becoming their own division in 2010. 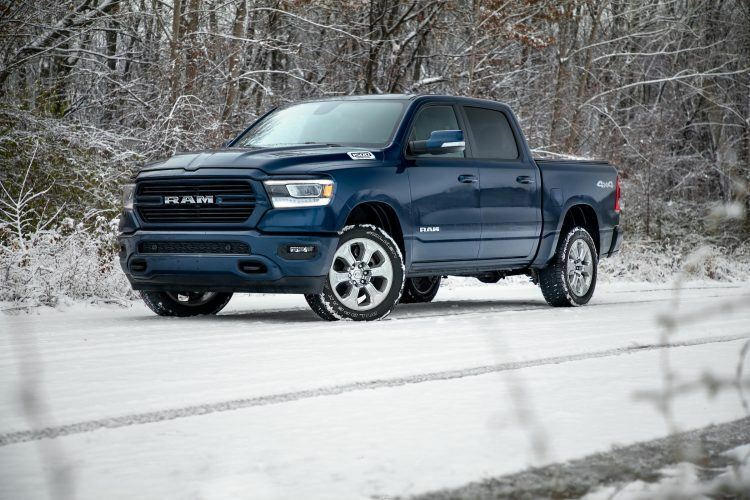 2019 Ram 1500 North Edition. Photo: FCA US LLC. Minnesota Vikings fans have felt that “so close, yet so far” pain for seasons on end now. The franchise has been to four Super Bowls but has yet to secure a championship. To add insult to injury, Vikings fans have endured six NFC Championship Game losses since 1978. While there is still hope for the Minnesota Vikings, the General Motors Viking not so much. The original Viking was actually an Oldsmobile built on the automaker’s GM B platform. The Viking car survived only a few years, being adopted by Chevrolet who slapped the namesake on the side of a medium duty truck in 1958. 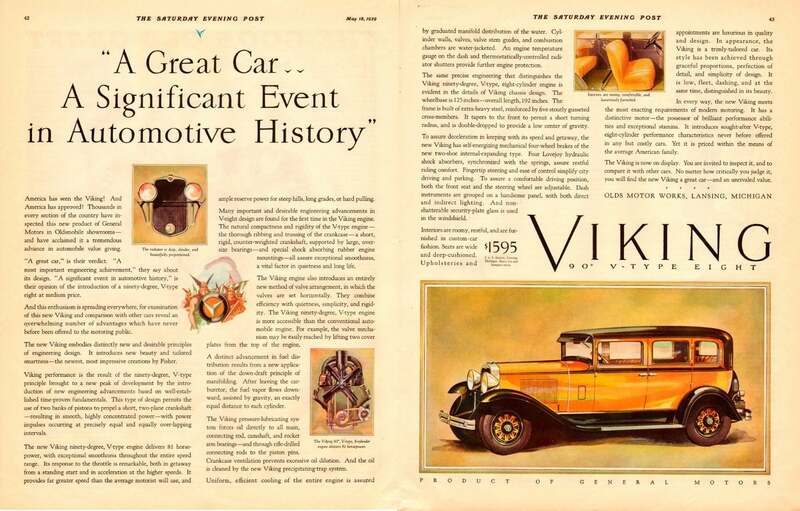 But the Viking truck soon faded into the annals of automotive history. Neither of these “Vikings” could match the longevity of Bud Grant, the iconic Minnesota Vikings head coach (1967-83 then ’85). Given his reputation for frugality, if he owned either of these vehicles, he probably still has it. Oldsmobile Viking advertisement, May 1929, Saturday Evening Post. The Ford Falcon enjoyed a solid production run between 1960 and 1970, and configurations were endless. The Falcon was offered as a two-door or four-door sedan; two-door or four-door station wagon; and as a hardtop or convertible. Even a Ranchero pickup option existed. Whiz Kid Robert McNamara, later the U.S. Secretary of Defense, oversaw the Falcon’s development at a time when Ford was struggling. The “Whiz Kids” were ten USAAF World War II veterans who became Ford executives in 1946 at the behest of Henry Ford II. Over in the NFC South the AMC Eagle pairs nicely with the Philadelphia Eagles. Surprisingly, there isn’t a rugged work truck named for America’s Team, the Dallas Cowboys. The final AMC cars were the 1988 Eagles. Production was completed by the end of 1987. 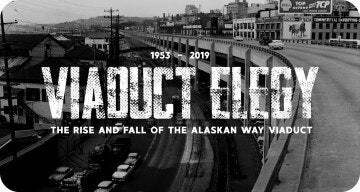 Photo: From American Motors Corporation: The Rise and Fall of America’s Last Independent Automaker by Patrick Foster, published by Motorbooks. All-Fit Automotive complied everything into the graph below, with one you can share on social media here. No Comments on "Does Your Favorite Football Team Have A Matching Vehicle?"